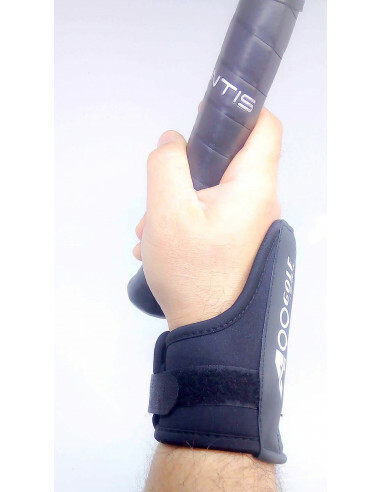 The Limiter doll is an excellent product to prevent incorrect movements of the wrist on the strokes of tennis. It is an adjustable wrist cuff with a piece of metal lasts 12 x 4 cm, which you can place in different positions of the hand in function of the stroke to work. To grip continental places the limiter in the area of the wrist and let the cap of the racquet to rest on the end of the limiter, and grip forehand and backhand to correct excessive wrist opening you put it in the back of the hand.